Saginaw Bay some perch were caught around sailboat buoys A, B, and H but the bite was slow. Fish were also caught in the old shipping channel just north of the Saginaw River mouth and a mile east of Spoils Island. Catfish anglers fishing in the Hot Pond have done well with crawlers, shrimp and chicken liver. Anglers out of Quanicassee were targeting perch but only a couple boats caught fish. They basically stayed put in one place and let the fish come to them. Those moving around never located fish. Fish were found in 8 to 14 feet and deeper. Perch anglers were out in Wildfowl Bay between North Island and the tip of Sand Point but no reports came in. A few walleye anglers were still out but catch rates were spotty. 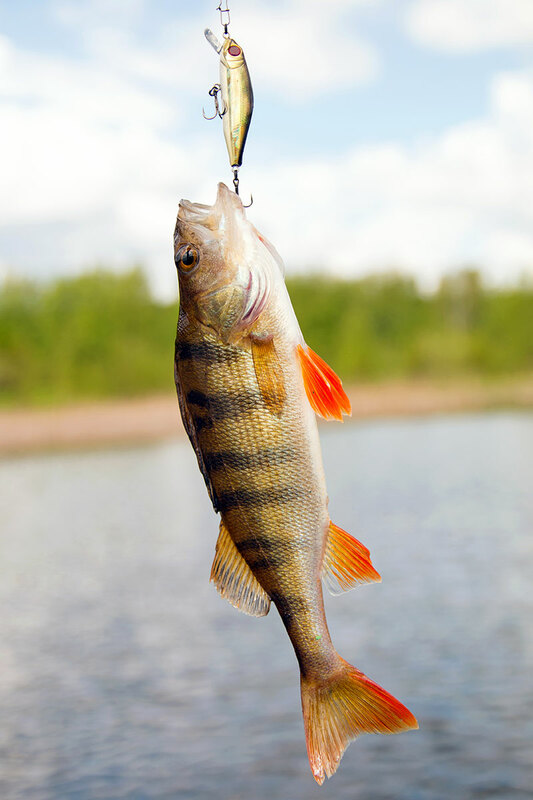 Saginaw River a few perch were caught in the lower river near the Bay Harbor Marina. Au Gres Area perch fishing off the Saganing and Pinconning Bars slowed some. A couple walleye were taken from the edge of the weed beds in 10 feet or more along the Bars. Oscoda, good numbers of lake trout were taken from the bottom in 130 to 170 feet. Atlantic salmon were caught in the top 30 feet. Try spoons, meat rigs, and flies out from the Au Sable River. Chinook are being marked near the mouth of the Au Sable River and a few were caught in 20 to 35 feet with spoons and J-plugs. Pier anglers caught fish on spoons. Walleye and smallmouth bass were taken by those casting crank baits or still-fishing with crawlers. Channel cats were hitting on crawlers on the bottom at night. Au Sable River, those targeting walleye found a few in the evening when casting crank baits or when drifting and still-fishing with crawlers near the mouth. Channel cats, smallmouth bass, and rock bass were taken on marabou jigs or when drifting or still-fishing with crawlers. Lots of smallmouth bass but many were sub-legal. Tawas Area boat and pier anglers targeting perch were doing a lot of sorting to get a few keepers. Same for the boat anglers off Jerry’s Marina. Boat anglers fishing near the rocks around Alabaster took a few walleye when casting or jigging. Those trolling about 10 miles south of the Tawas River mouth found a few walleye in 35 to 45 feet. 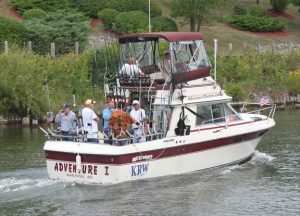 To learn more about fishing for walleye in Michigan, including bait/tackle techniques and locations to try out, check out their page on the Michigan Fish & How to Catch Them website.